This perfect little pocket is easy! 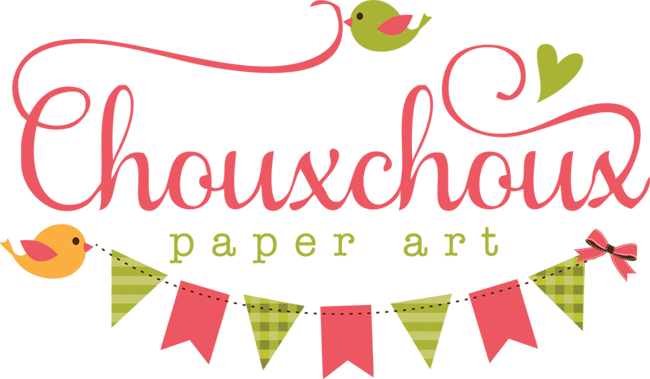 I started by printing a polka dot paper in a lovely color onto 28 lb. copy paper. It's a little heavier and slicker than normal copy paper and I love it for little bags and pockets. 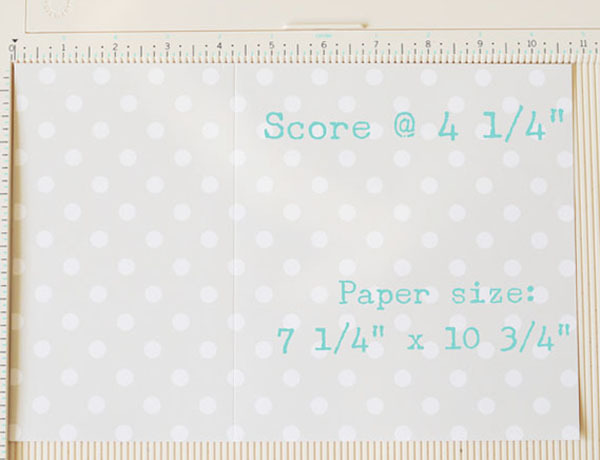 The digital paper is from Grepic and is part of a polka dot paper set that comes in lovely colors. 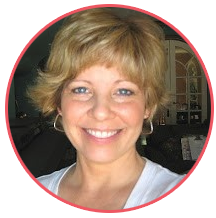 Go take a look - you'll love how pretty they are! Cut the paper to 7 1/4" x 10 3/4". 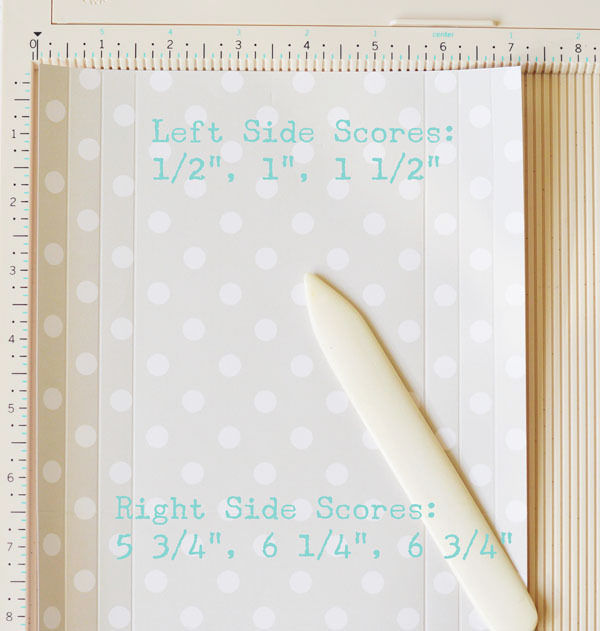 Turn horizontal and score at 4 1/4"
Turn paper vertically and score. Gusset will be on the back layer. 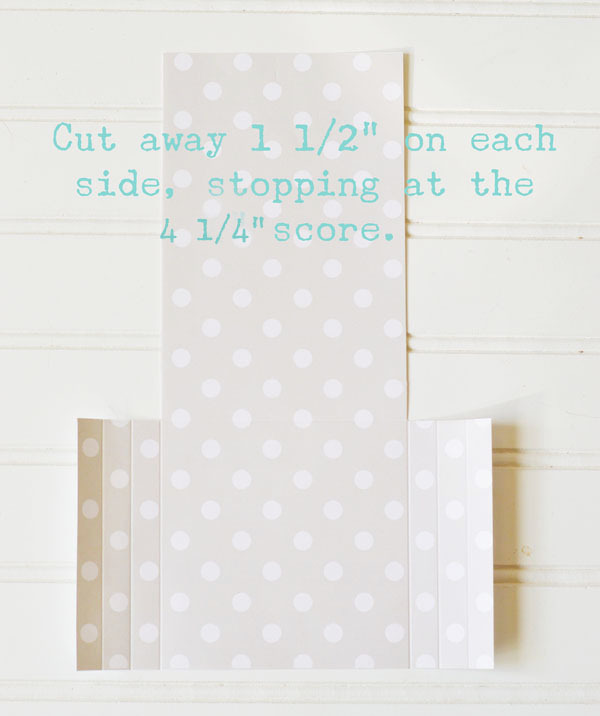 Cut off 1 1/2" on each side down to the 4 1/4" score. If you want to do some fancy stuff, do it now! 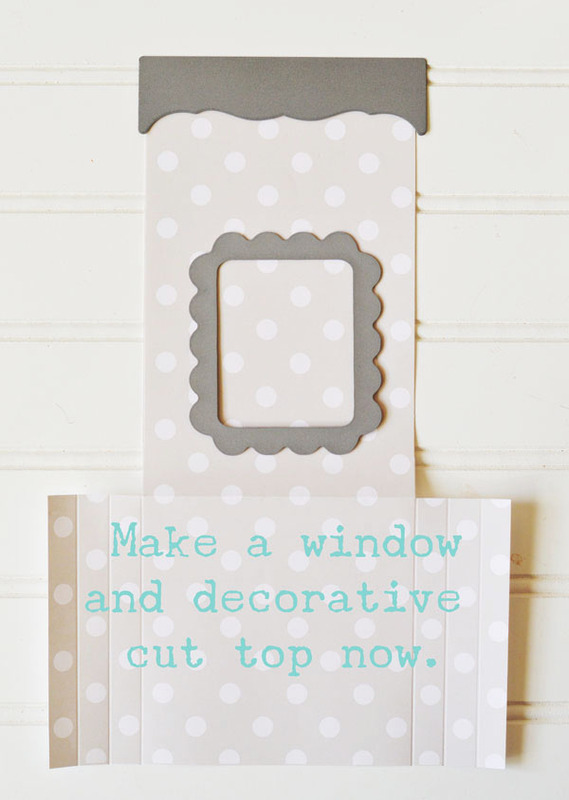 I die cut a fancy edge on the top and cut a window in the front. The border die is from Papertrey Ink and the scallop die is from Reverse Confetti. post. The gussets are folded exactly the same way. I glued in a piece of vellum to cover the window, folded the pocket on the 4 1/4" score and glued the front to the gussets. Using the back as a guide, I folded the top over the back. It's almost time for Visions of Sugarplums! 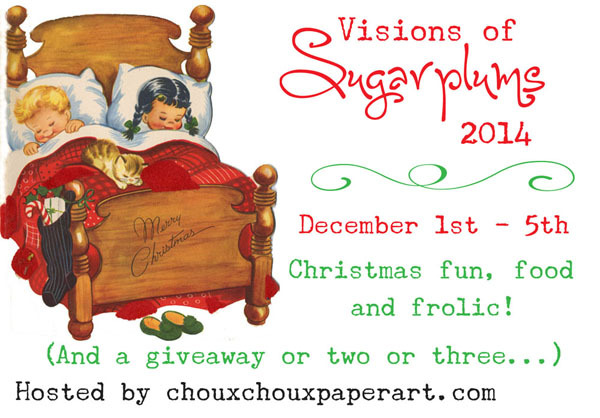 Can you believe this is the 4th Annual Visions of Sugarplums? Join us for Christmas ideas, freebies, recipes and giveaways all five days. Mark your calendar and I'll see you here! Such a pretty little gift pocket Lori - thank you for providing the 'How to'. 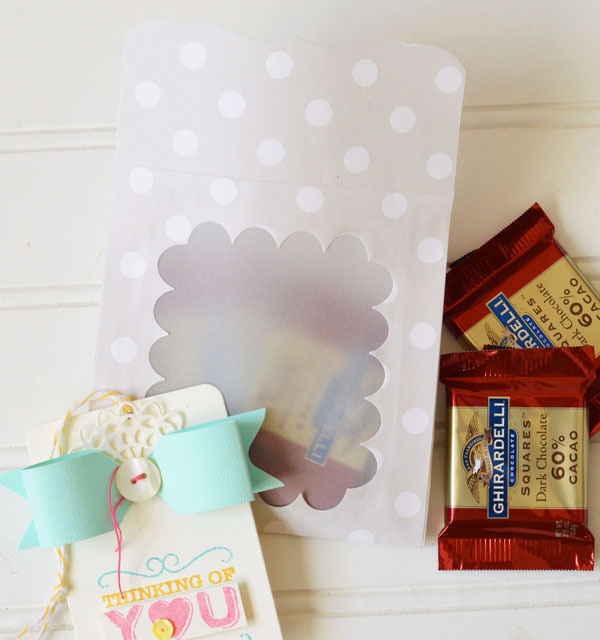 Fabulous little gift/treat bag and your tag is wonderful. So looking forward to your annual Visions of Sugar Plums :-) Have a wonderful weekend. What a pretty treat pocket! 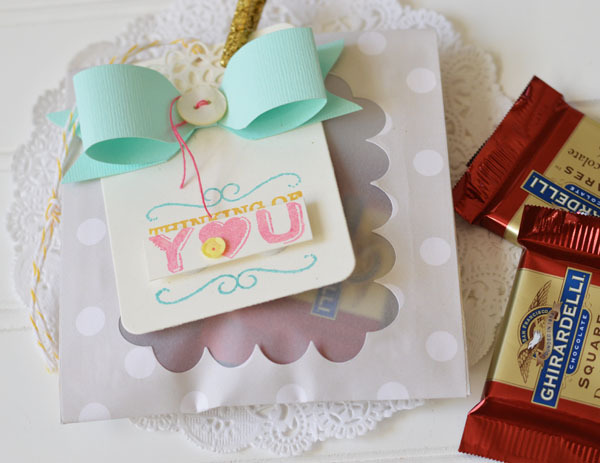 Love the colors, bow, and pretty gold clothes pin! 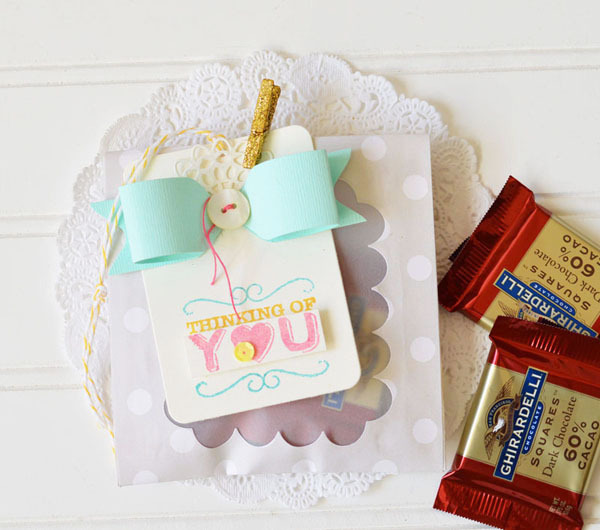 It would surely put a smile on someone's face to received this sweet creation! This is great! And thank you for show to make it! What a great little gift!